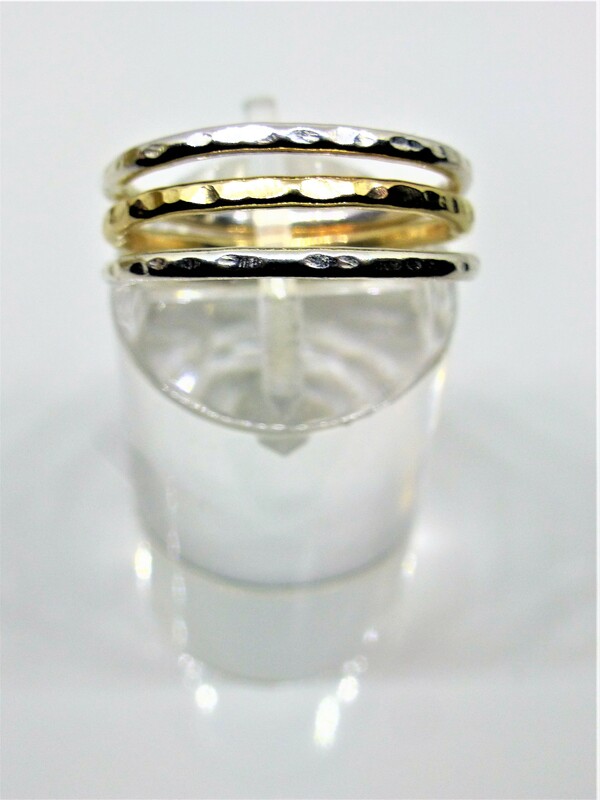 A set of 3 rings made from 1.5mm Recycled Sterling Silver and Recycled 9ct yellow gold. The rings are delicate yet sturdy and have been hammered for texture and strength. They can be worn as a stack or if you just wanted to wear the yellow gold ring on its own it would still look fabulous! This item is made to order as I’d order the solid gold in once I know your ring size. The rings come in a recycled gift box stamped with my logo and a silver bow.